Contact us " You are my special angel "
Beta Sigma Phi is an international women's social, cultural and service organization. Founded in 1931 to provide women with a social outlet, a cultural forum, and an opportunity for service, there are over 150,000 active members worldwide. Chapters are located in 23 different countries, with chapters in every state in the U.S. and every province in Canada. 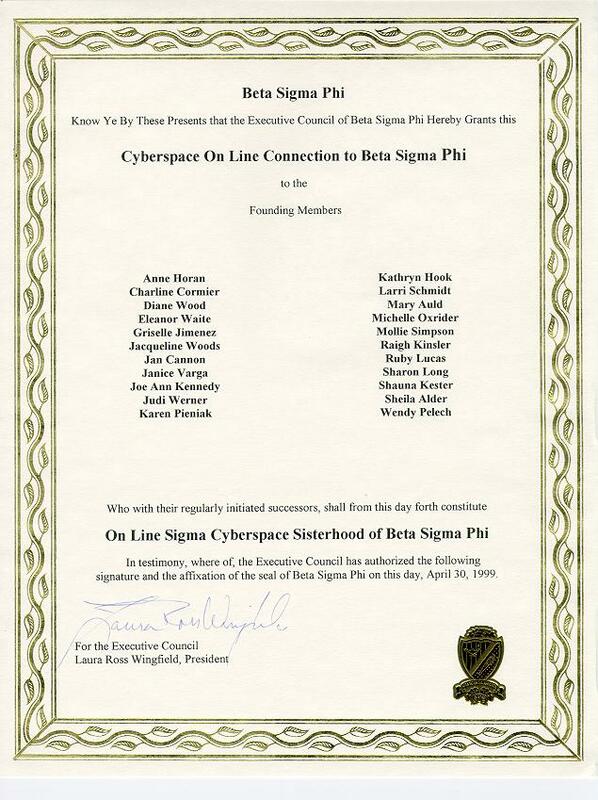 This is an "online" chapter of Beta Sigma Phi, with members in both Canada and the United States. Contact Sheila Brown if you have any questions about this website.